It made Alice realise how much of life was full of empty stuff, objects longed for because the hope of them made your small life seem bigger, better, brighter. One can never help being too sceptical when diving into a retelling of Lewis Carroll’s Alice in Wonderland. Simply because if you’ve read one then some of the time it can feel as though you’ve read them all. By some magic and much to my relief, Christina Henry managed to pull off the difficult feat of rejigging Carroll’s famous tale and making it seem fresh. Henry injects some horror into the beloved children’s story. It kicks it off with Alice imprisoned in an asylum that goes up in flames, allowing our forlorn heroine and her fellow inmate Hatcher to escape. However, they are far from free. Wonderland couldn’t be more terrifying. Alice, who originated from the shiny and wealthy New City, is now loose on the streets of the Old City, populated by the poor and broken citizens. Henry’s world building of the Old City is nothing short of incredible. Every corner, every nook and cranny that Alice and Hatcher explore on their journey oozes danger. Henry’s version of Wonderland is a despicably dark and brutal one, full of criminal gangs. She shines the light on the most depraved of humanity. I particularly found her depiction of the Old City’s attitude to women both fascinating and sickening – women are deemed as objects merely for pleasure whether it be for literal food, torture and of course, sexually. I’ve dealt with various retellings of a corrupt and evil Wonderland, but Henry’s version ups the ante and takes the cake with how disturbing yet enthralling it is. Alice is full of familiar faces from Carroll’s work. When Alice and Hatcher fled the asylum, they weren’t the only ones as Henry revives Carroll’s monstrous Jabberwock, whom our protagonists must trap back into his cage. During their ventures in the Old City, Carroll’s other characters make appearances as villainous head honchos in an almost mafia-like circle. There’s the ominous big bad of the Rabbit who is hyped up by Henry with Alice’s chilling flashbacks to a fateful tea-party meeting. The ever-so-creepy Cheshire who will no doubt send distrustful shivers down your spine. The Caterpillar, of whom the less said about the better – I’m still recovering. 冷 And finally, the Walrus, who is equally as gross. If I’m being honest, I think the latter two definitely make the Jabberwock seem like Jesus himself. Out of all the retellings I’ve sat through in my time, Henry’s Alice is unquestionably the darkest and most disturbing. It has been a few days since I finished it and I still can’t stop thinking about it. It’s graphic, gory and absolutely terrifying, but at the same time, it’s so incredibly intoxicating that you just can’t bear to put it down! If you’ve got the stomach to handle all the violence and horror of Henry’s retelling, then buckle up and get reading! 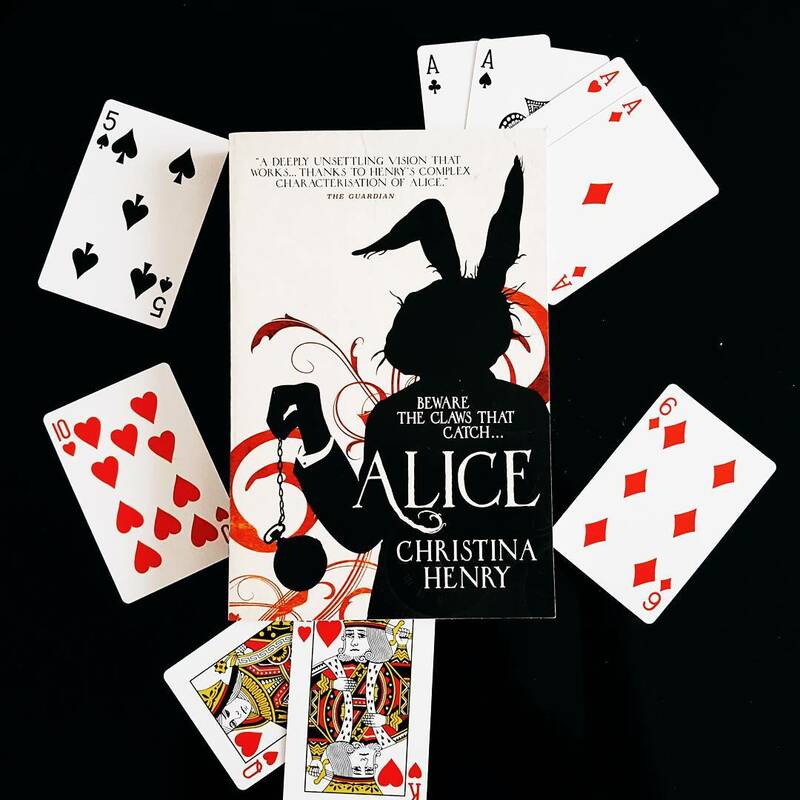 You won’t be disappointed by the magic and mayhem of Alice. I’m aware that there is a sequel, or rather second instalment, to Henry’s Chronicles of Alice called Red Queen. I will have to clear my schedule so I can properly enjoy it and see not just what’s next in store for Alice and Hatcher, but also to immerse myself back in Henry’s dark and unscrupulous Wonderland – this time to visit the New City which I’ve read isn’t as dreamy as our protagonists believe. The excitement is real.